Known to be a procrastinator during the holidays, I made it a point to organize a homemade gift idea that I could share with all the ladies in my life. This recipe was inspired by the amazing, Frank Body Scrub made in Australia. I had been using this scrub and have seen significant changes in my skin and fell in love with the concept of a coffee scrub. Unfortunately, I have been recently diagnosed with the allergy to almonds, so I couldn’t use Frank anymore! I set out to make my own to ease my addiction; subbing the sweet almond oil for avocado oil. 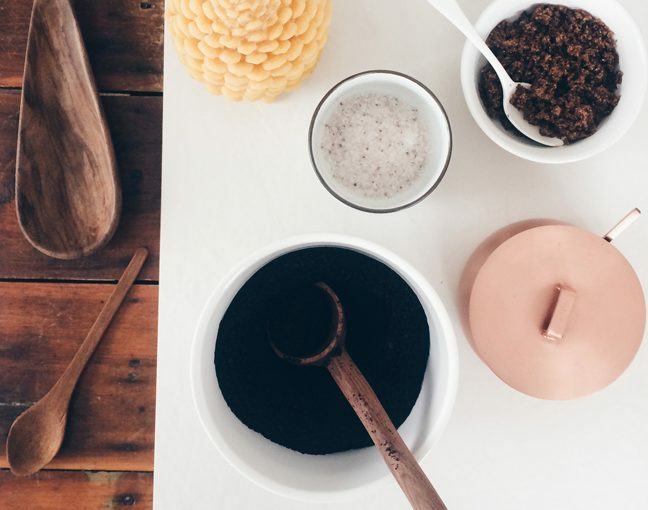 Seeing as your skin is your largest organ, coffee scrub has a chance to benefit your body and health in a big way. Cellulite, dimples, stretch marks, red bumps, irritation, dry skin happen to the best of us, well actually, all of us. 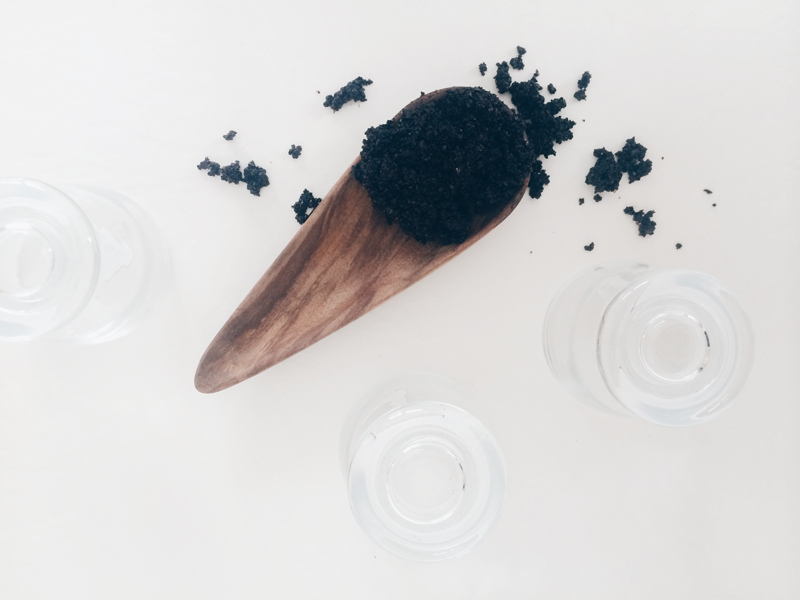 The ingredients in this coffee scrub help to stimulate blood flow resulting in smoother and firmer skin. If you are looking for a little extra on top of the already powerful scrub, invest in a dry brush. Dry brushing exfoliates and gets blood moving helping your skin repair. Gifting this like I did this holiday season? Buy 10 -12, 4-6 oz. containers and pack them full! Tie with ribbon and label. Jars you see here from this post are from Crate & Barrel. Print this recipe card and stick inside your gift bags! 1. Combine coffee, dark brown sugar, cold water, sweet almond oil or avocado oil, salt mixture, vitamin E, Wild Orange essential oil and orange zest in a large bowl and stir thoroughly. 2. Store in a cool place, in a sealed container. Optional to store your large batch in the freezer and take out portions at a time to keep mixture fresh. 3. 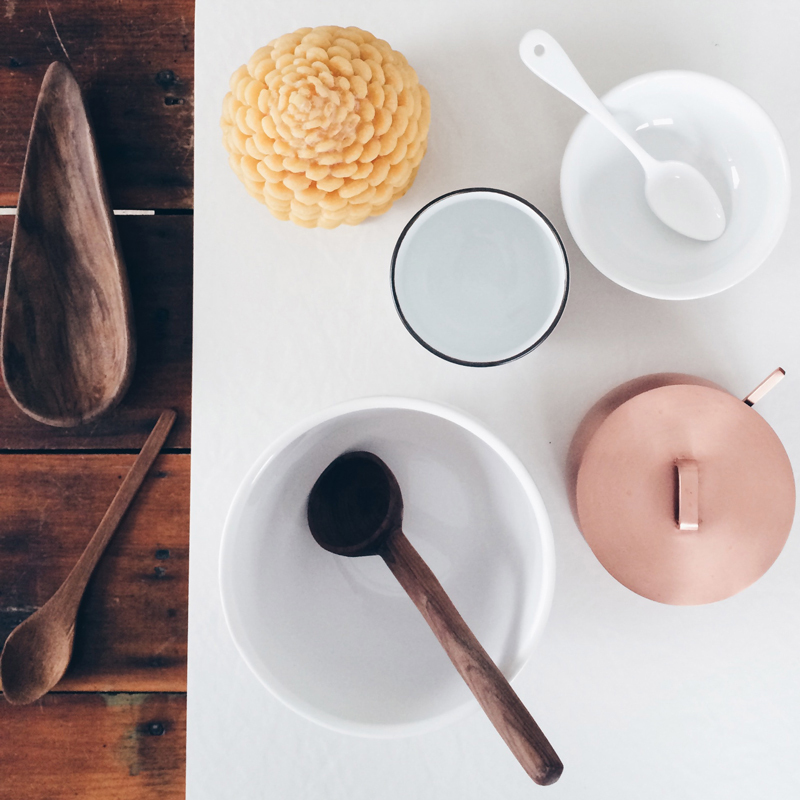 If gifting: Scoop portions into containers, label and tie with ribbon. 4. Print the recipe cards and then add to the gift bags so they can make it at home too! I’ve never used a scrub like this 🙂 Can you give further instruction on the application process…- in shower? How long should I let it sit? Do you massage it into skin for a certain amount of time? How often do you use it? Do you put it everywhere? Take off with water or just a rag? Ellie, great question. 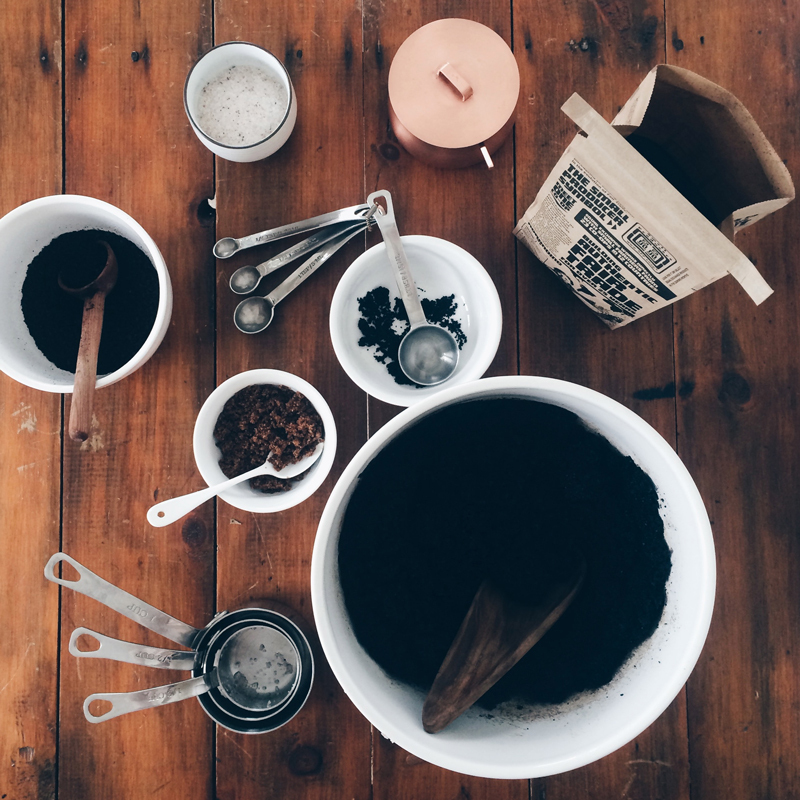 Coffee scrubs are the bomb, I really recommend making your own and giving it a try – you will love it! First, dampen your skin and with small circular motions massage the coffee scrub into your skin and cover your whole bod! You will want to let it dry for about 5 – 10 minutes so that the scrub can really absorb into your skin and you can get the full benefits. After that, gently rinse off. You will want to repeat this ritual 2 – 4 times per week to get the full benefits. Let me know how it goes and if you love it! I love coffee scrubs! I would love to try and DIY one. What a fun idea for a gals night!